Sega invites us once again to enter its fictional version of Tokyo, and jump into the shoes of a Yakuza chairman. In Yakuza Kiwami 2, you get to experience the PlayStation 2 classic Yakuza 2 with all the modern flash and quality-of-life mechanics in modern gaming. The Yakuza franchise has been gaining a lot of popularity specifically in the West, and it’s no surprise to see Saga cashing in on that popularity. This is now the fourth Yakuza game that Sega has released in the last 2 years, so franchise fatigue is a very real possibility. This game also has big shoes to fill, as it comes hot off the release of Yakuza 6, the supposed final entry in the main franchise. Does Yakuza Kiwami 2 keep things fresh? More importantly though, is it a good remake? Yakuza Kiwami 2, Good Remake, or Franchise Fatigued? 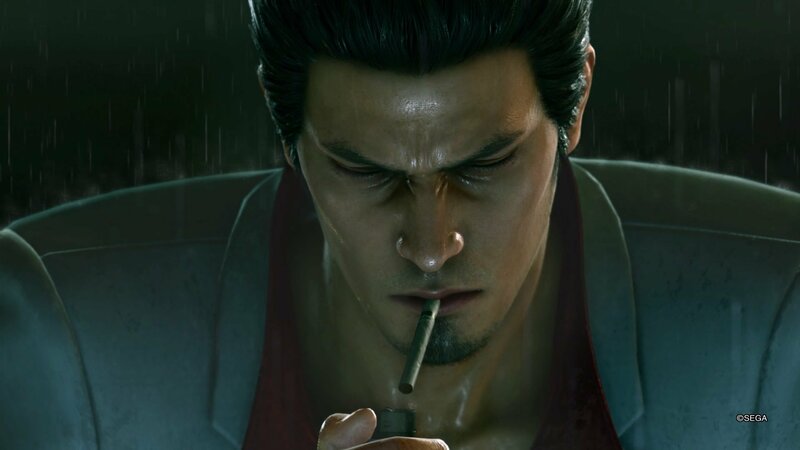 No matter how hard he tries, ex-yakuza chairman Kiryu Kazuma can never seem to find a moment’s rest. More often than not, Kiryu is just trying to live a normal life, but is pulled back into the criminal underworld due to honor. In that regard, it’s business as usual in Yakuza Kiwami 2. After the events of the original Yakuza, Kiryu has abandoned his life of crime and has taken up caring for the young Haruka. However, as a war starts brewing between the Japanese Yakuza and the Chinese Mafia, Kiryu is pulled back into the life of crime. When it comes down to it, the weakest part of Yakuza Kiwami 2 is the story. Whereas Yakuza 6 and Yakuza Kiwami 1 managed to tell the personal story of Kiryu along with the expected crime story, Yakuza Kiwami 2 doubles down on the crime. The story is full of characters, multiple crime families, and international politics. The quality of the storytelling ranges from boring to interesting, but it’s usually long winded. Cutscenes have a habit of running long and being repetitive. This isn’t new for the Yakuza franchise, but it’s more apparent in Yakuza Kiwami 2. I’d much rather be spending my time playing the game than watching a 20 minute cutscene. That’s not a joke either; you don’t get full control of your character until an hour or so into the game. Once you get further into the story and make some decent progress, the second half of the story gets a bit more interesting and offers some unique quests. There are some likable characters and references to past Yakuza game events that keeps things interesting. If you played other games in the franchise, Yakuza Kiwami 2‘s story will be interesting enough to keep you going. Despite the numerous and lengthy cutscenes, Yakuza Kiwami 2 has a ton of content to back up its story. Like most games in the series, you’ll spend time exploring the streets of Kamurocho, a fictional city in Tokyo. Kiryu’s travels also take him to Sotenbori, a smaller town in Osaka. The main plot will send Kiryu on missions across both cities, often beating the snot out of anyone who crosses you. The lengthy story mode is spread across multiple chapters, each with a handful of missions that play out in a linear fashion. The main story missions are fun in their own right, but you’ll find more gameplay variety and wackier missions by exploring the open world. In between main missions, you can take to the streets and explore the numerous shops, restaurants, and entertainment centers around town. Yakuza Kiwami 2 is packed with excellent side activities and fun distractions to rack up your playtime hours. There are over 70 different side missions, and it’s within these side missions that you’ll find some of the best storytelling. When you’re not completing missions, you can stop by a local restaurant and grab a bite to eat. There’s honestly an overwhelming amount of side activites to take in. Consider yourself a gambler? Go take a trip to the casino, where you game play poker, blackjack, mahjong, and a good collection of classic Japanese games. Fan of sports? Try out the golfing range, the batting cages, and maybe even take some bowling balls to the streets. If you’re a bit of an introvert, maybe some light karaoke and a trip to the video store will suffice. Generally speaking, you can get lost for hours simply exploring the cities and completing content as it pops up. Better yet, Yakuza Kiwami 2 recognizes the strengths of its side activities, and rewards you for indulging in them. In the main menu, there’s a list of challenges known as the “Completion List”. Here, you’re challenged with various tasks, that when completed, reward you with experience points. You’re rewarded for all sorts of things. Winning items out of UFO Catchers, using weapons during combat, trying each restaurant, and competing in the aforementioned mini-games. Completing these small side challenges rewards you with experience, which you can then spend to strengthen Kiryu and unlock new upgrades. You’ll gain experience by completing main missions and fighting enemies, but you’ll arguably gain just as much by fiddling around with mini games and completing side activities. This is one of the things I really like about the Yakuza series in general. In other open world games, the rewards for completing side missions might be good, but they don’t seem like they’re improving your overall progression. Even if you’re playing darts for the fifth time in a row, Yakuza Kiwami 2 doesn’t punish you for it. Instead, it encourages you to play the content you find most interesting. Yakuza Kiwami 2 features two other more substantial side activities, one focused on a cabaret club and the other on a construction site. You’ll run across these two activities during normal story progression, so there’s no real way you can miss them. Like the other mini games in Yakuza Kiwami 2, these activities can be completed at your leisure or completely ignored. One of these activities is the Cabaret Club Grand Prix. Kiryu finds himself in charge of a Cabaret Club that’s down on its luck, and you must take to the streets to recruit new girls and make partnerships with local businesses. Then, you can start a shift at the Cabaret Club, directing the hostesses to customers and aiding them during the visits. There’s a surprising amount of stats and customization when it comes to your staff, and the act of managing a Cabaret Club is surprisingly engaging. Your overall objective is to progress through the four different leagues in the Grand Prix. You can recruit new staff by completing side stories, helping people in need, and much more. Stop and grab a snack at a nearby eatery! The second major side activity is Clan Creator, featuring Majima Construction. Kiryu eventually runs into his old friend Majima, who is now running a construction business on the side. Here, Kiryu offers his help with protecting the construction site from a rival gang. Like the Cabaret Club, you do this by recruiting new workers by completing sub-stories and other activities. Once you have a solid crew, you can take on waves of enemies in strategic battles. Instead of participating in the fight itself, Kiryu takes a more passive approach, directing the troops from the sidelines. This site activity plays like a very light real time strategy game, but it’s addictive and enjoyable nonetheless. Here’s the first thing I’ll say; I have not reached franchise fatigue with Yakuza. After the first few intial hours and story set up, I found myself gleefully exploring Kamurocho and Sotenbori with reckless abandon. I had tons of fun shoving my face with ramen, sushi, waygu beef, and then roundhouse kicking some Chinese Triad in the nose. Yakuza Kiwami 2 brings some of the quality-of-life mechanics from Yakuza 6, such as first person mode, the ability to enter restaurants and order, and the streamlined skill trees. However, it sacrifices the fun multiple fighting styles of Yakuza Kiwami 1. This is alleviated in a short but appreciated bonus mode called “Majima’s Saga”, which is a small side experience focusing on the crazy character. The fighting style is different in this exclusive content, and it’s also another handful of hours of great Yakuza action. Overall, Yakuza Kiwami 2 is one of the most entertaining and comedic entries in the franchise, and it’s a fantastic remake. When compared to the more recent Yakuza releases, I feel like it’s better than Yakuza Kiwami 1, but Yakuza 6 still rises above it. If you’re fresh to the Yakuza series, I recommend grabbing this game first, as Yakuza 6 is the absolute end of Kiryu’s storyline. That and the sidequests in this game are absolutely insane.